The Swiss canton of Obwalden not only boasts stunning scenery, a highly developed infrastructure and a booming high-tech sector, it also offers some of the most attractive tax rates anywhere in the world. FDE meets Martha Baechler of Standort Promotion in Obwalden to discover why relocating your business to idyllic central Switzerland could improve both your lifestyle and your bottom line. Located right in the heart of Switzerland and surrounded by lakes, mountains and seemingly never-ending stretches of forest, the canton of Obwalden's awe-inspiring landscape is almost enough to recommend it on its own. Add to that its proximity to the country's cultural capital Lucerne as well as the urban centres of Zug and Zurich, its highly developed infrastructure and its world-beating tax regime, and it's no wonder that its popularity as a business destination is soaring. "The canton of Obwalden is characterised by a dynamic economy profiting from an attractive tax situation, great connections to the most important transport networks and economic areas, easy access to a huge range of educational facilities, and a local administration that works extremely closely with its citizens," summarises Martha Baechler, managing director of Standort Promotion in Obwalden, the canton's one-stop shop for business, relocation and residential issues. "Moreover, the high quality of life, in a varied and breathtaking landscape, makes you feel like you're on holiday." But a holiday it certainly isn't. Indeed, business is booming in the tiny canton. "Besides the high-tech sector, Obwalden is strongly rooted in the food and synthetic industries," Baechler explains. "Both Swiss and international companies that are well-established in their fields are located in Obwalden." These include maxon motor, the world's leading supplier of high-precision drive systems; Leister Process Technologies, which sells plastics processing products, sensors, micro-optics and BioMEMS devices worldwide; Bio-Familia, producers of the now world-famous Familia Muesli since 1954; and Titlis Rotair, one of the largest cableway companies in Switzerland. "Of course," Baechler says, "there is still room to relocate your business." And there are several additional reasons to do so. As an employer, it is easy to find highly motivated and well-trained staff in central Switzerland, due to the region's excellent educational facilities. Indeed, not only does Obwalden offer a wide range of top-quality primary and secondary schools, the canton is within easy driving distance of several world-class universities, including the University of Lucerne. Moreover, the modern tax system of one of Switzerland's most idyllic cantons has proven a huge draw for international businesses. "With a rate of 6% on tax on earnings for corporate individuals, Obwalden boasts one of the best tax regimes in Europe," Baechler notes. "Dividends from investments of 10% or more are only taxed by 50%, and private individuals have been taxed with a general tariff of just 1.8% since 2008. Furthermore, the maximum tax burden in Sarnen, Obwalden's capital, is 12.5%, including community and cantonal taxes. "This 'Obwalden model', in combination with flat rate taxes, is a novelty in Switzerland, and those at all levels of income benefit from these advantageous tariffs." For Baechler, however, what really sets Obwalden apart from other cantons in Switzerland is the combination of its enviable location, excellent tax rates, marvellous landscape, dynamic economy and size. "As we are a small canton, the local administration and politicians are very close to the canton's citizens," she remarks. "Here, people know each other and the processes are very short and very efficient in comparison to the big cities." By working directly with Standort Promotion in Obwalden, these processes can be shortened still further. "We are your reliable partner when it comes to any questions you have about relocation and we would be delighted to assist you in completing your move," Baechler stresses. "As well as serving you with all the necessary information and contacts in the community or cantonal administration, we will also work with the tax authority, lawyers and trustee services. "On top of that, we will help you to individually find suitable housing or commercial space. Working with us means you're guaranteed to be in good hands; we work fast, efficiently and competently and our whole team would welcome you to Obwalden." With its rapid administrative processes, excellent standard of living, extremely competitive tax rates and proximity to many of Europe's cultural and economic centres, there's very little not to recommend the canton of Obwalden. "It is this extraordinary combination that makes our canton a real gem," Baechler concludes. 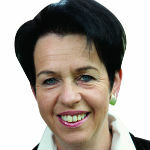 Martha Baechler, managing director of Standort Promotion in Obwalden. 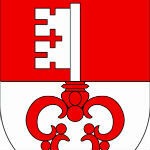 The canton of Obwalden coat of arms.